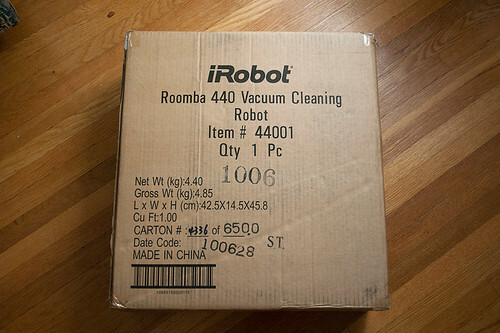 I broke down and bought a Roomba, a robot vacuum. 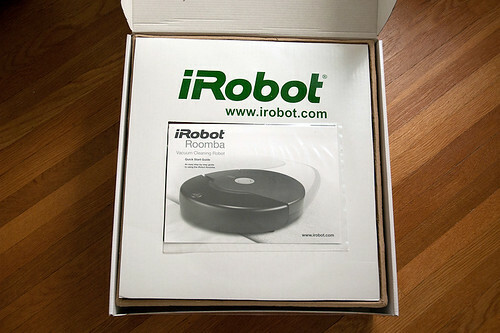 I’ve seen these Roomba robots appear on deal sites over the last few years and they always peaked my interest. Reading the comments and reviews on these gadgets I see some people say they are a waste of money and prone to issues. 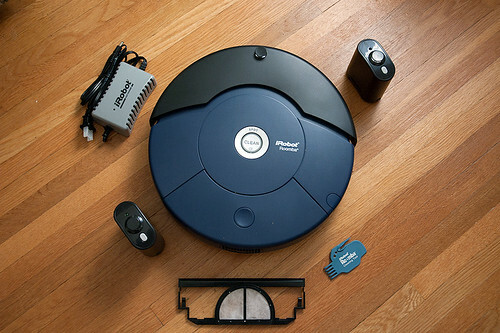 Yet other reviews praise these cleaning robots for their ability to clean floors while you carry on with your day. 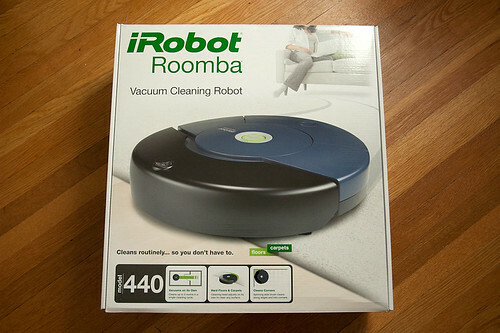 The Roomba 440 came up on Woot and I decided to take the plunge and buy it. It showed up at my door a few days later. 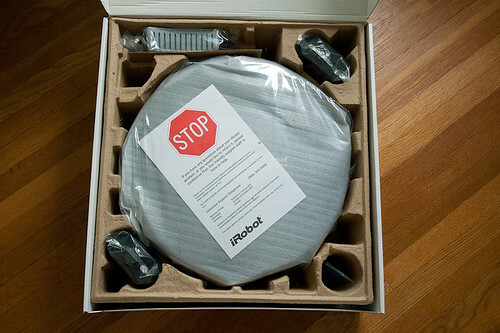 Following is the un-boxing of the Roomba 440. Finally, after a nice charge I set the Roomba 440 loose on my living room and dining room which consists of wood floors and a large area rug. 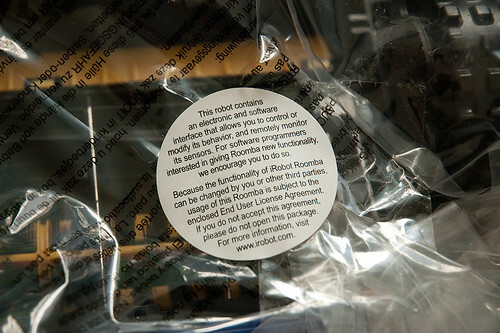 The Roomba shipped with “virtual walls” which each take 2 C-size batteries. These “virtual walls” can be setup in a doorway which creates an invisible barrier in which the Roomba will not pass when enabled. I didn’t have any C-size batteries so I wasn’t able to test this feature. 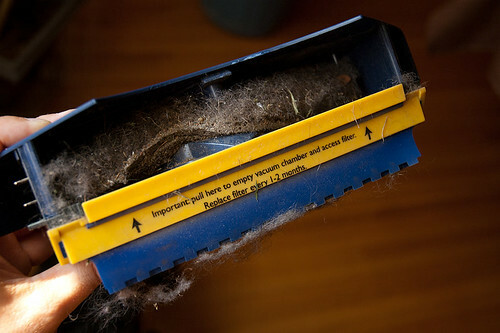 The above photo shows what the Roomba 440 captured from my floors. Even though my dog Terry is of a non-shedding variety (cockapoo), he still leaves little tufts of hair around the house. 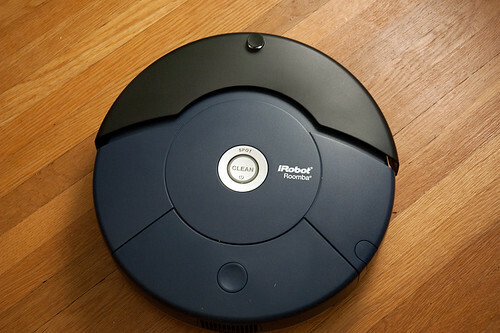 The Roomba easily crossed the floors and under the dining room table cleaning hair and dust with ease. Finally, here is my video of the Roomba cleaning my floor as Terry watches.